A vital step towards having beautiful hair is the purchase of a good hair brush. You require two genuine natural-bristle brushes, a half-nylon, half-natural bristle brush, two wide-toothed combs, a rubber scalp massager, a pair of sharp scissors, and at least three towels. 1. While selecting combs, pick ones without rough edges. 2. Avoid usage of nylon bristle brushes. 3. A semi-radial brush is good for dry hair. 4. A flat, paddle-shape or radial brush is suitable for combination and greasy hair. 5. A full radial brush is good for normal hair. 6. Thick hair calls for half-nylon and half-natural bristle brush. 7. 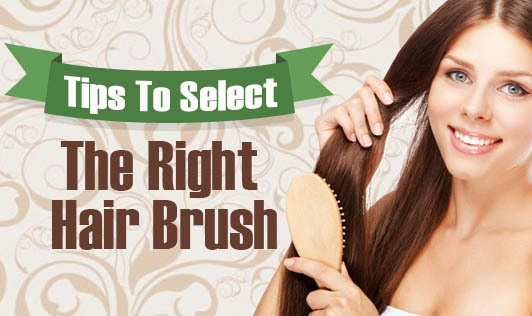 Thin hair requires a natural bristle brush.